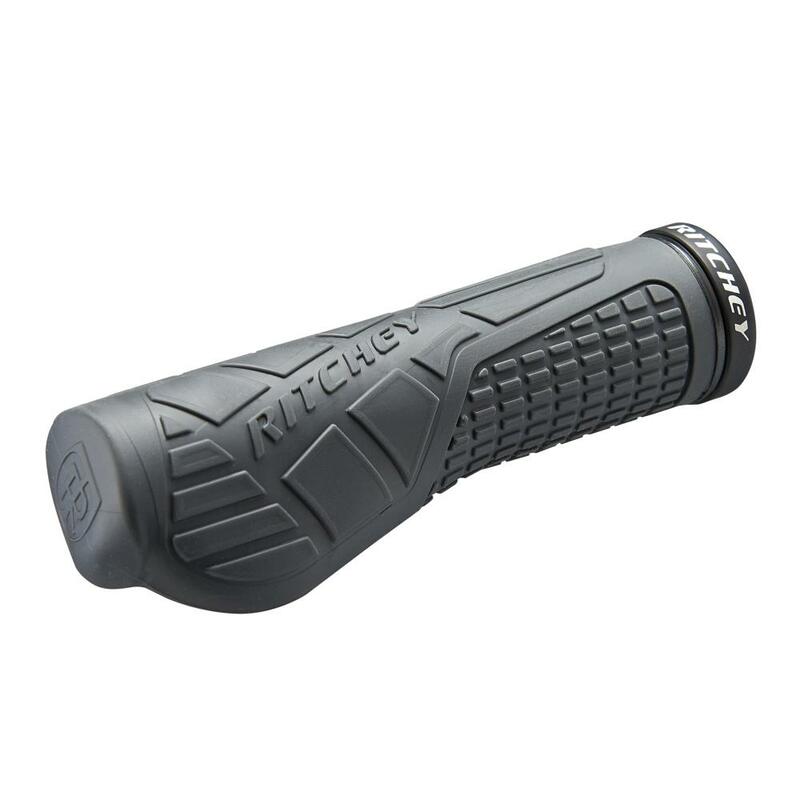 Tom Ritchey's EGP grip design features a single-sided locking function with a helix core, tightening itself and distributing the clamping force over the entire length of the grip. This ensures the grip stays put, even under the heaviest twisting forces that would make other grips slip. The dual-density compound of these unique grips ensures a comfortable and secure feel, and due to their innovative design and lightweight construction, these grips weigh a scant 133g per pair. The EGP locking grips offer a stable, comfortable and confident interface for a wide variety of riding styles.